Some incidents that otherwise don't seem to be quite significant sometimes leave an ever lasting impact on your life. Here's something as inconsequential as reading the ingredients of a tooth paste while brushing in the morning, that changed Sujit Lalwani's life leaving a deep realisation. Read ON! Sorbitol. A fairly innocent word, I suppose. 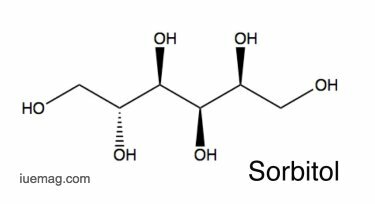 A chemical compound that does what it does when consumed- that’s what sorbitol is supposed to be. Sorbitol- belonging to the group of alcohols - might not be intoxicating like its cousin ethanol, but it surely isn’t known to effect a lone tear just by seeing it’s name- let alone after consuming it. Little did I know what this single name do to me upon setting my eyes upon it- but that was before I picked up my toothpaste. As I went through the contents that made up my toothpaste this morning, Sorbitol caught my eye. The answer to this takes me back in time. 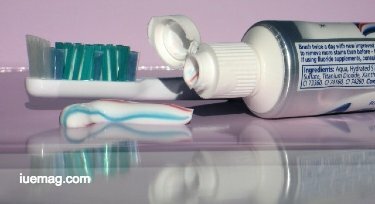 Specifically to the one and a half years I spent learning all about organic chemistry, a subject I loved immensely- that in those days, when I looked at the contents of my toothpaste, I could visualise the structure of each and every ingredient that made up the toothpaste. The one and a half years that I spent learning beyond what the syllabus demanded of compounds and chemicals and their structures, their isomers, the conditions required for their formation, the catalysts that could speed up the process, the conditions that would fail in creating those compounds, their uses and what not. I know the effort that went into it- but to what effect? Less than about fifteen years later, “Sorbitol” is just a faded compound I gave my heart and soul learning about, because organic chemistry was a subject that was on syllabus. How exactly has organic chemistry enhanced my life- and more importantly, how have I been able to use organic chemistry to effect a change in the civilisation of our times - considering that it consumed one and a half years of absolute interest and attention, and academic effort alongside a dozen other subjects of course? 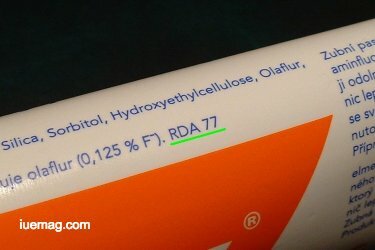 When did it become a compound that I used to know the exact formula and structure of? Well- here’s the point I was getting at. Do you need to care about my love for Sorbitol? Absolutely yes. And why? Because only after knowing the heart and soul that once went into knowing Sorbitol and all of its relatives for a year and half has faded into a name that once I knew everything about. Sounds familiar? I thought so. There is that ONE thing (alongside many other things) that you put your heart and soul into sometime ago. How much of worth are you creating with the information gained back then? How relevant is that information for you on a daily basis? How revolutionary has it been gaining insight into some aspect of a person, a place, a subject or anything else that has transformed your life? And if it hasn’t, I beckon you to answer- WHAT was the reason you put your heart and soul into it in the first place? So there it was- that tear drop that caused a burn in my eye- because behind that single faded memory of SORBITOL and what had gone into remembering every detail of it back then, brought back in a jolting moment of truth that this was for naught. “Inspiring entrepreneurship and encouraging volunteerism” is a vision that has not just happened to visit me- it has come to stay, and stay it will. It isn’t a visitor so to say, it has taken up permanent residentship- and to that I hold, every thought intent and action from the very moment I coined it. Everything shall align to that, and than growing old and looking back at what I grew old for- for grow old I will- this will be something I grow old with instead. That vision I just have so casually mentioned in this article isn’t so casual at all- there is in fact so much to say about it that it deserves an entire article for itself, which will be out soon. Keep a look out for it. Sorbitol, a tear, and some intense realisations later, I walk out for the day- mind blown. Sorbitol. Who would have thought? Any facts, figures or references stated here are made by the author & don't reflect the endorsement of iU at all times unless otherwise drafted by official staff at iU. This article was first published here on 18th March 2018.